vdB 126 is a reflection nebula in Vulpecula. It is located in the western part of the constellation, along the line between the stars Albireo and α Vulpeculae. 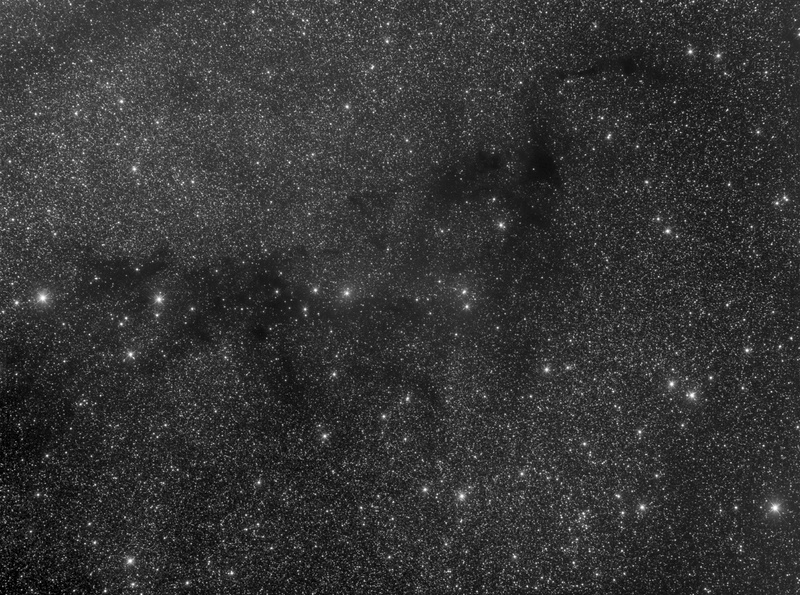 vdB 126 shines in the foreground of the dark nebulae LDN 768 and LDN 769, which are evident because the are superimposed on a rich starfield. The gas and dust in the nebula reflects the light of HD 182918, a blue main sequence star, whose apparent magnitude is 8.7. Its distance, as measured by parallax, is equal to 2720 light years, although these estimates are affected by the uncertainty of the measurements; if the distance is correct, this nebula is located in the same area of dense galactic dark clouds forming the Great Rift. van den Bergh 126, which this image is part of. Notes: Images taken during my stay at the Emberger Alm in September 2014. See an Observation Report of this event (in German): Emberger Alm 2014.